These are good quality scissors, made of steel, which cut very well and are a proven design that has been around for about 200 years. They are well suited for your sewing basket or other crafts. 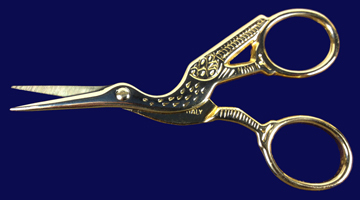 The stork scissors are in the same style of designs that were popular during the Victorian period. These are perfect for embroidery work. Imported from Italy.